You know when you begin to hear those neggy thoughts about ageing scratching at the door like a dog who wants to come and sleep in your bedroom for the night, but unlike a cute puppy that loves you exactly as you are, this presence at your door wants you to beat yourself up for getting older? Well here's how I'm working on telling these thoughts; "Good night, hope you sleep well and f**k off, no you can’t get a cuddle." A few years ago I boldly stated that I wouldn’t have Botox. I am the first to admit that may have been a little naive and easy to say when you have a wrinkle free face. It’s a bit like declaring that you won’t have pain relief while giving birth – you just don’t know till you’re feeling the pain. So now that I have got wrinkles, how do I feel about it? Well…I can sense negative inner dialogue scratching at the door like a dog that wants to come and sleep in your bedroom for the night, but unlike a cute puppy that loves you exactly as you are, this presence at my door wants me to beat myself up for getting older (I mean seriously, I’m thinking how ridiculous that sounds as I write it) but I hate the thought of that as much as I hate the thought of being disturbed in my sleep, so I don’t hang on to those thoughts for long and wish them a good night, sleep well and f**k off, no you can’t get a cuddle. I still don’t want to Botox and I explain why in this video. Let’s be clear though, this isn’t really about the Botox, it never did anything wrong and it’s not to blame, nor is anyone who has it or gives it. This decision runs a lot deeper for me. In this video I explore one of our deepest fears, can you guess what it is? 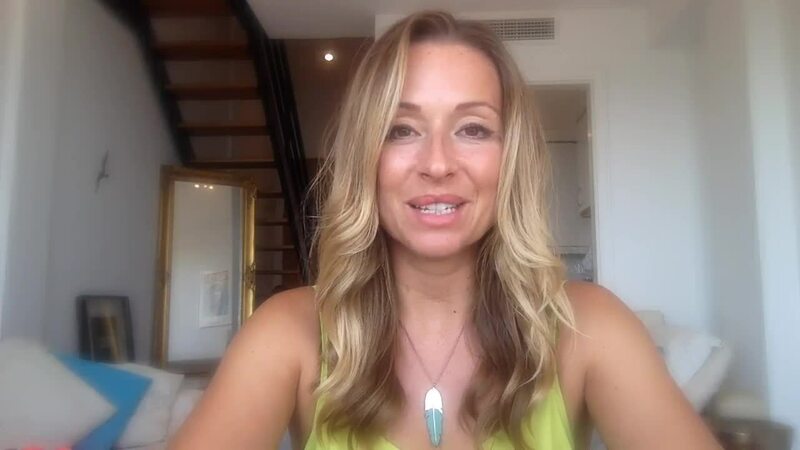 Plus I challenge you to get clear on what you really think and feel about ageing so that if you want to feel young and beautiful everyday with or without an anti ageing treatment, you can.